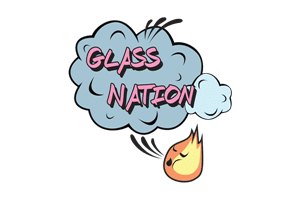 Glass Nation has the best metal bongs for sale online. “Why would anyone want a metal bong?” Because they never break and are the most versatile sleek way to smoke. Very similar utility profile as silicone when it comes to the type of material used. However, metal has a much more bourgeois and fancy look to it than silicone, which some say looks like “plastic”. Even though silicone is not plastic. We know everything about the best metal dab rigs for sale online because we have them all. We don’t have any low quality metal rigs on our website. All are made out of pure titanium and not aluminum. Never smoke out of aluminum because it degrades with heat. No one wants heavy metal in their lungs. So only use medical grade titanium when smoking.